Richmond’s Highway to Heaven has gained prominence not only at the local and provincial but also at the national level. It is an excellent example of people of different faiths and cultures working to-gether in promoting inter-faith and inter-cultural harmony in the community. This is something unique to Richmond. People and places of worship of different religious denominations along this small stretch of #5 Road are proud to celebrate this community’s religious and cultural diversity. It is a great way of contributing to the promotion of peace, understanding and harmony. This is something that all of us can be proud of. Richmond indeed is a very special community .It is true that our Highway to Heaven is only one small part of Richmond. There are numerous other organizations and individuals whose contribution has added immensely to the betterment of this community. As a matter of fact, it is the dedication, hard work and commitment of so many of Richmond citizens from various backgrounds which has made this community as one of the most desirable ones to live in. On its part, India Cultural Centre of Canada Gurdwara Nanak Niwas, as one of the first places of worship to be built on # 5 Road, has been an active participant in this process. Nearly, every day, a large number of students, intellectuals and devotees visit this place of worship. A lot of them belonging to different religious denominations come here to learn about Sikhism. They come from all across Canada and some other countries. 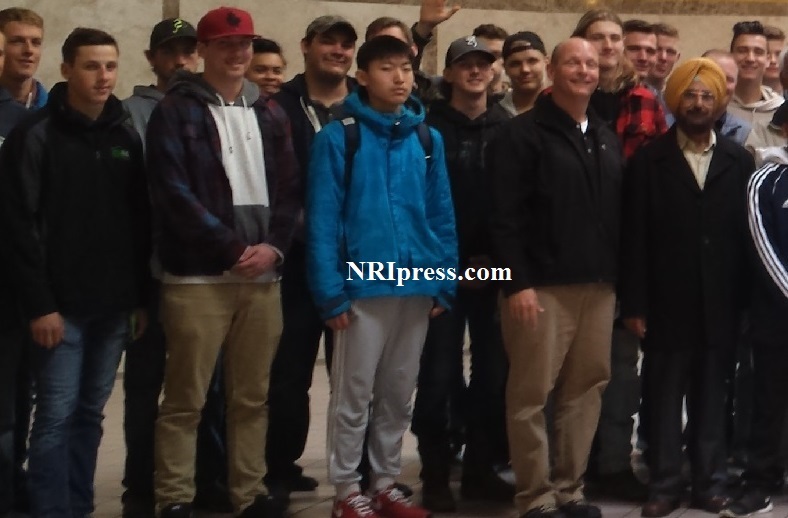 On Tuesday, April 18, eighty students along with a number of their teachers from Lynden Christian High School, Lynden, Washington visited the Highway to Heaven. 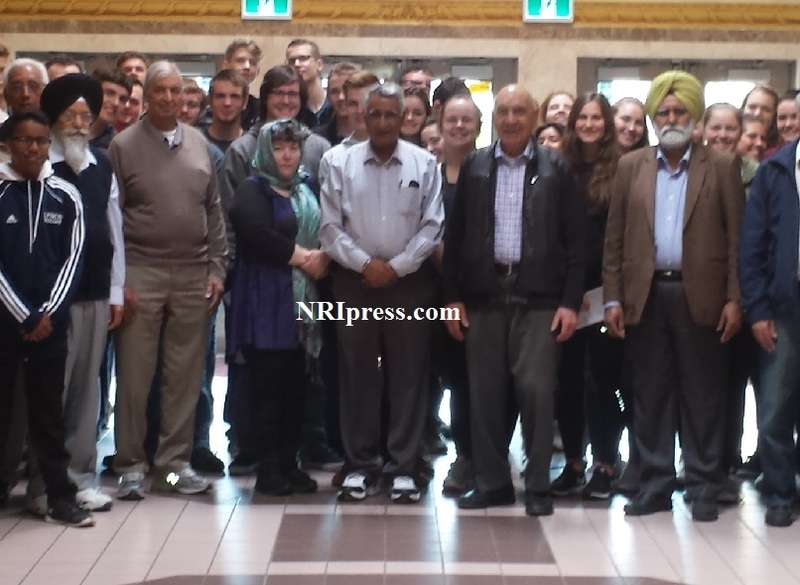 They started their visit at India Cultural Centre of Canada Gurdwara Nanak Niwas. The students and their teachers were extended a very warm welcome by the Gurdwara management led by Chairman Asa Singh Johal. I had the privilege of explaining to the group the basic principles of Sikhism and the mission of the ten Sikh Gurus. The students were very keen to learn about the message of equality, universal brotherhood ,peace and harmony of the Gurus and Shri Guru Granth Sahib. They were also given a brief overview of the progress made by the Sikh community around the globe in general and Canada in particular. After the formal presentation the students were encouraged to ask any questions. The entire group seemed to be quite impressed with what they heard and saw. 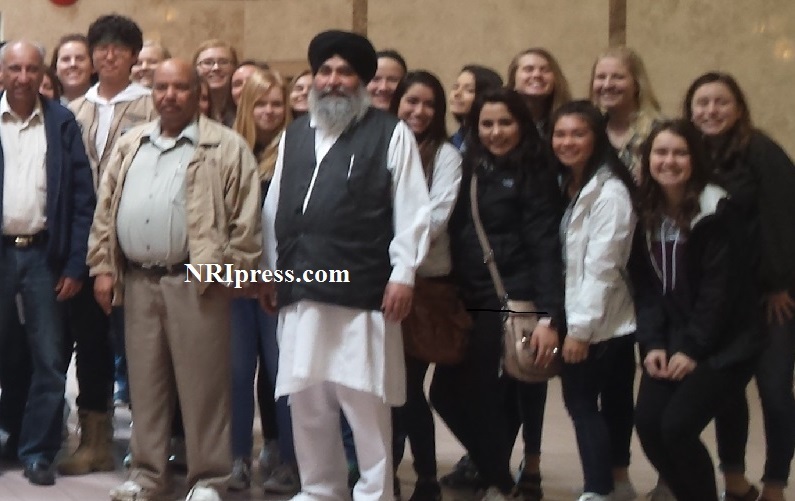 All of them appreciated the opportunity to learn about different faiths including Sikhism. After spending about an hour at the Gurdwara , the group moved on to our neighbouing Buddhiat Temple-Lingyen Mountain Temple . In addition to visiting the Buddhist place of worship they were planning to visit a few more before returning to Lynden ,Washington. Our youth are our future. I would like to commend the management ,staff and students of Lynden Christian High School for their desire to learn about other religions. Initiatives like this go a long way in promoting understanding, respect and intercultural harmony .